Spread Happiness with some Challenges (video)! I just had to make a card for fun so I thought I might as well film as I go. I combined two fab challenges Lisa’s Wanna Sketch and CAS-ual Fridays ‘So Long’ farewell card and here is the finished result. Hope you are having a great week… I’ve not been well the last couple of days, cross my fingers I’ve turned the corner now, I’ve got heaps of DT projects to make as well as visitors this weekend, I don’t have time for unwellness. Other Supplies: Prismacolor Pencils – White, Black, Sepia, Light Umber, Lemon Yellow, Yellow Ochre, Goldenrod, Sunburst Yellow, Spanish Orange. < Previous You are the Bomb! 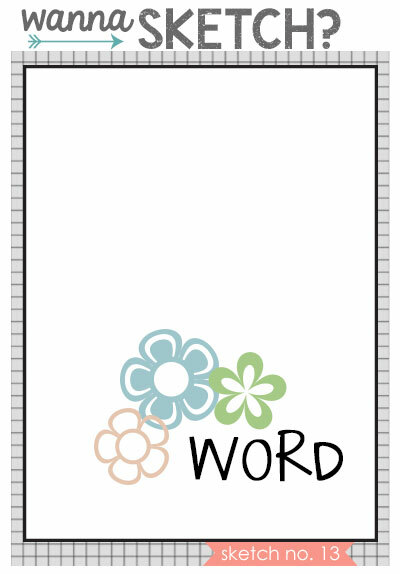 Next > February Feature at AnnaBelle Stamps! Love this card, colour is brilliant, very eye catching. I’m so sorry you’re not feeling well, Therese! I really hope you’re able to get some rest and that you’ll be feeling better quickly! This is such a beautiful card! 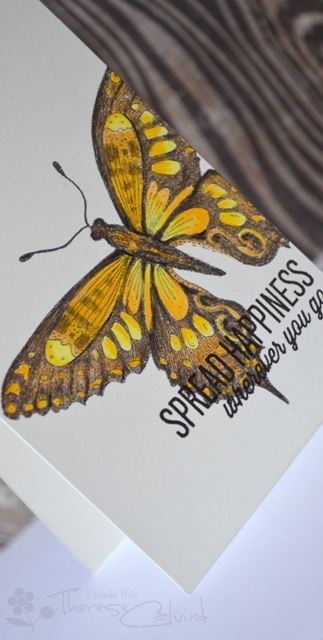 I love how you blended the colors on the butterfly, and your sentiment is just perfect! A really lovely take on the sketch! Thanks again for the video…I always enjoy them! this is simply gorgeous! I have a similar stamp and I might copy, sorry! I meant to say: “case” your card 😉 pinning it too! have a great day!! absolutely gorgeous, Therese!! wow! love love it! Amazing!! Love your butterfly bleeding off the edge, and your sentiment going right over it. What a charming size for your card too. So glad you joined the CAS-ual Fridays Challenge! Hope you get better soon. There is definitely no time for being sick these days! Awesome card. I like how it is off centred and not the whole image showing with the sentiment over the top. 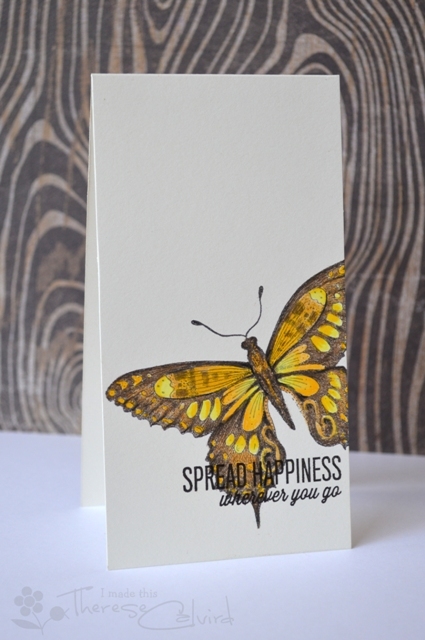 Amazing, Therese – LOVE the elegance of this slender card. Wonderful colouring! Oh Myyy, Therese! What a beautiful card. Your coloring is so exquisite. I could watch your video all day long and still not be as skillful! Gorgeous CAS card Therese! Beautiful coloring!! Go away, germs! I hope you’re feeling better!